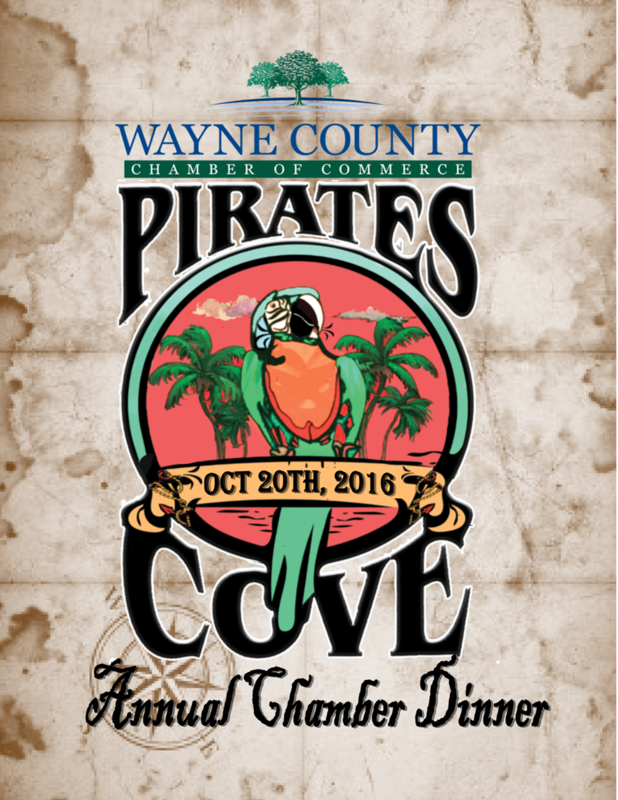 The Wayne County Chamber of Commerce is excited to announce the 2016 annual Chamber Dinner - The Pirates Cove - to be held at the Frank Hughes School Alumni Gym on October 20th, 2016 at 6:00pm! This year's dinner will have a pirate theme and will feature a seafood dinner, guest speakers, and our traditional award ceremony! Registration info will be released soon!